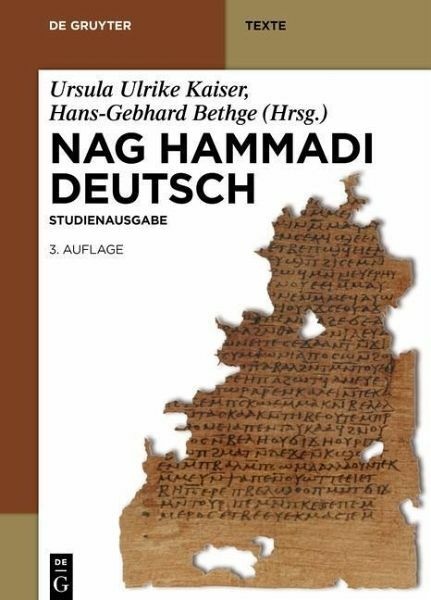 This student edition provides a complete German translation of the approx. 50 manuscript texts discovered in Nag Hammadi as well as the text of the Codex Berolinensis 8502. For this third edition, the volume was corrected and updated, and it has also been expanded by the inclusion of two texts from the Codex Tchacos first published in 2007. These texts, mostly originating from the 2nd and 3rd centuries, are among the most important manuscript discoveries of the 20th century and are of inestimable importance for scholars in Biblical studies and the history of early Christianity. Hans-Gebhard Bethge, Humboldt-Universität zu Berlin; Ursula Ulrike Kaiser, Universität Hamburg.